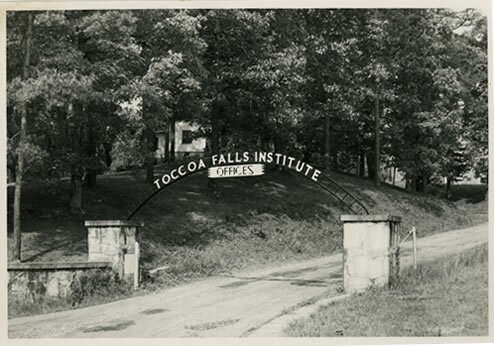 More than 500 students of Toccoa Falls entered the armed forces during World War II, and a number were killed in action. The school erected the stone gates and metal archway just below Fant Hall as a memorial to those who paid the supreme sacrifice. 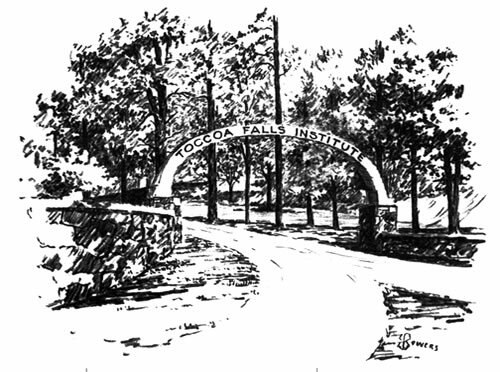 In 1942, wartime restrictions brought one change that later became a tradition at Toccoa Falls. Because of limitations on travel, students were retained on campus during the Thanksgiving holiday. 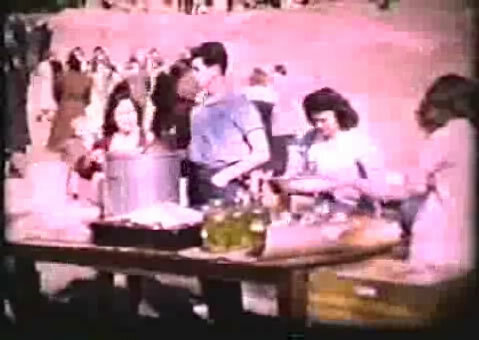 Parents and friends who could come were invited to the campus for a Thanksgiving Day barbecue. Homecoming Day was changed from the commencement weekend to Thanksgiving time, and special services were planned for students and visitors. This weekend became a highlight in the school year that many visitors attended each year. Editor’s Note: While the metal archway has been taken down part of the stone gate remains.